Freestanding Greenhouses are easy to install. We can give you guidance to install your own greenhouse! Structural Insulated Panels can be installed easily, and meet many different goals. We have strategies to build greenhouses quickly. Our structure is designed to be easy to build. Westland Greenhouse Solutions can meet all your Construction Requirements. Call Westland Greenhouse Solutions for all your Construction Requirements. We have the construction equipment required to build your greenhouse quickly. Westland Greenhouse Solutions Inc. can build or install your project, and with over 20 years of experience in the industry and many different types of projects built and installed for new builds, expansions or rerofits, we can definitely help you with your project. Westland Greenhouse Solutions Inc. couples the many different strategies in the design of our greenhouse and systems to ensure a quality installation in a reasonable timeline. 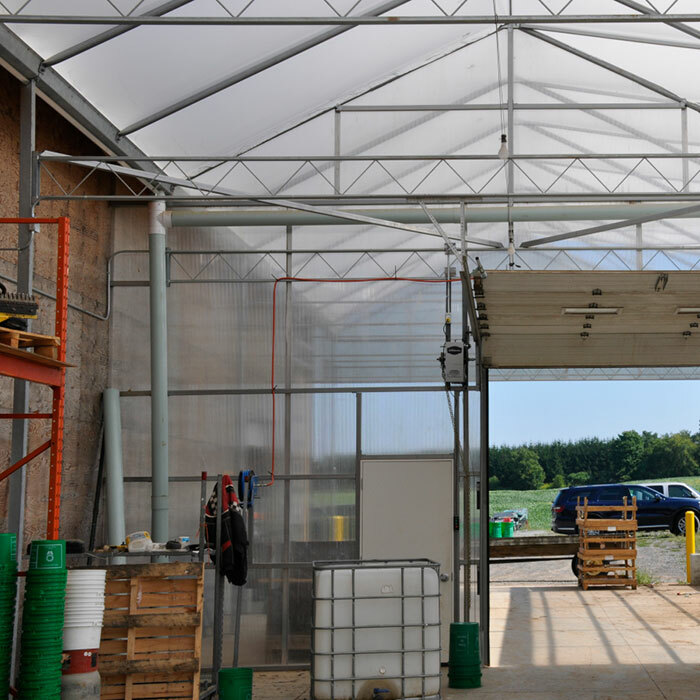 Westland Greenhouse Solutions Inc. has developed many different components with our partners for our greenhouses and our shade and blackout systems to make sure your greenhouse and systems give you many years of a dependable growing environment. 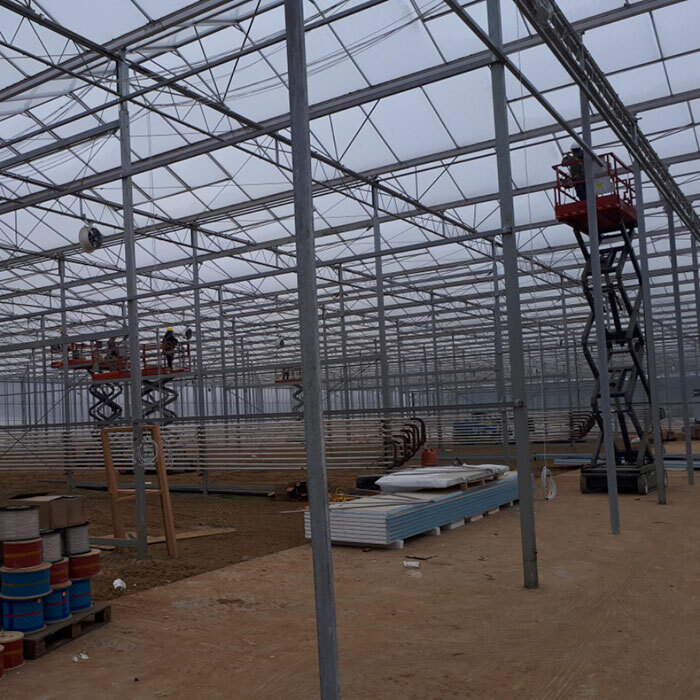 Westland Greenhouse Solutions Inc. has a plenty of experience with expanding existing greenhouses and other structures to help you increase your capacity quickly. Westland Greenhouse Solutions Inc. can help you make your greenhouse expansion project easy by offering you many different system and structure solutions to add to your existing ones, and if a new system is required, we can help recommend many different systems to make sure your new greenhouse is more effective than what you had before, even possibly increasing efficiencies to make sure the added labour for the new increased area is less of a burden per square foot of growing space. 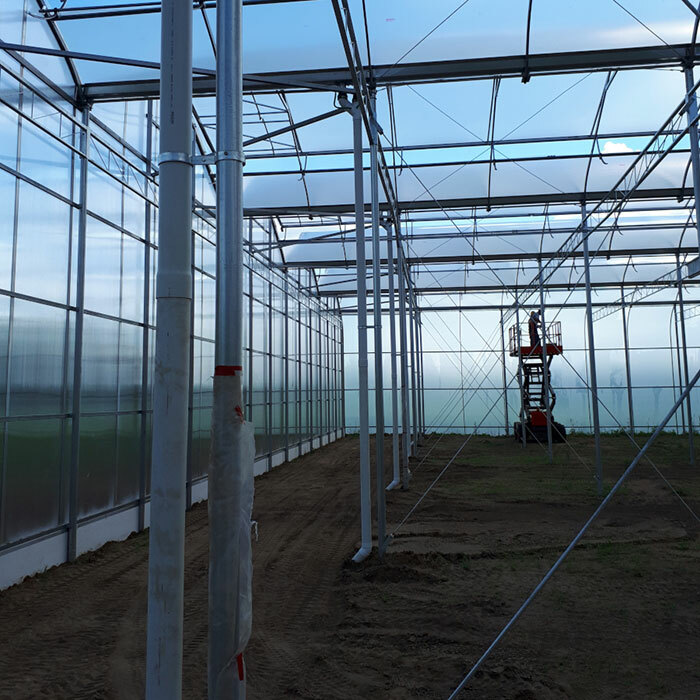 Westland Greenhouse Solutions Inc. has specialized in installing or upgrading walls, roofs, and shade and blackout systems in existing greenhouses. 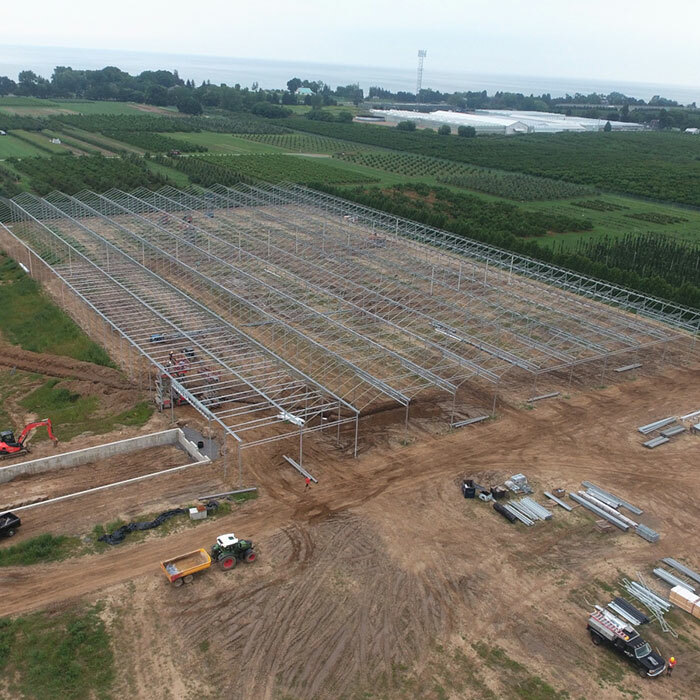 This gives us unparalleled experience in Canada for meeting the challenges that exist in upgrading an existing system, or installing a new system in an existing greenhouse. Westland Greenhouse Solutions Inc. has strategies to help you keep your Retrofitting Project on-time and on-budget.